A 71-year-old pedestrian has died following a collision with a car in Hunston last Thursday morning, according to police. 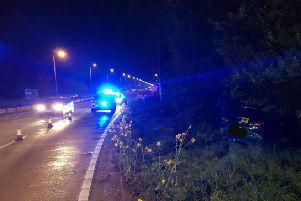 The man – who has been named by Sussex Police as Raymond Stenning of Hunston, Chichester – suffered serious injuries after colliding with a white Peugeot Boxer van on the B2145 Selsey Road, Hunston, near Chichester, police said. The accident happened at 10.50am on Thursday, March 1.